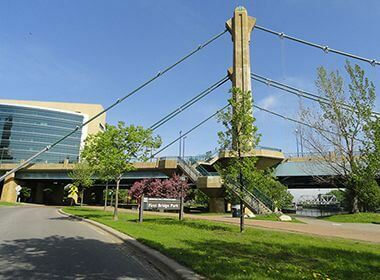 First Bridge Park	Located at the site of the first permanent bridge to span the Mississippi River at any point along its entire length. 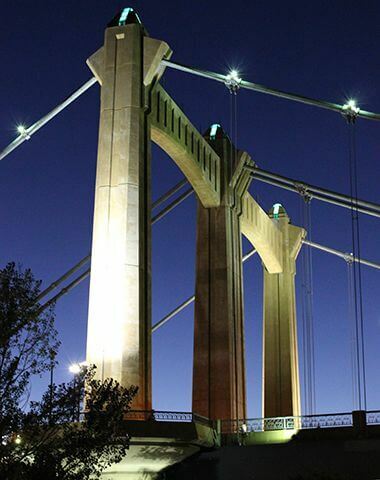 A series of bridges of different structural types has existed at this location throughout the years. 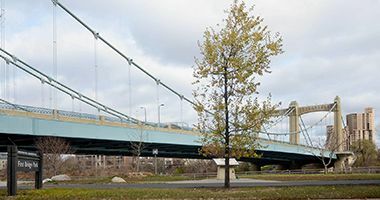 The first suspension bridge on the site was built in 1855. 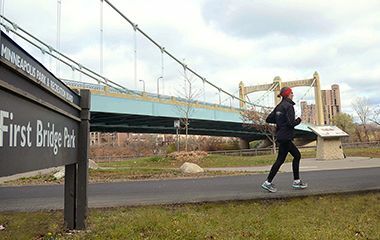 The park is located under and adjacent to the Hennepin Avenue Bridge between West River Parkway and the Mississippi River in the Central Riverfront Regional Park. Interpretive markers provide historical information and photographs about the site. The park features a river-edge walkway with ornamental railings, lighting, other circulation features and landscaping. A continuous, curving seatwall along the back of the river-edge walkway offers many spots to sit and watch the river flowing by. The wall and other features are enhanced by many artist-designed whimsical bronze sculptures of water creatures. A large piece of native limestone quarried near the site has been cut and erected as a monumental art piece. 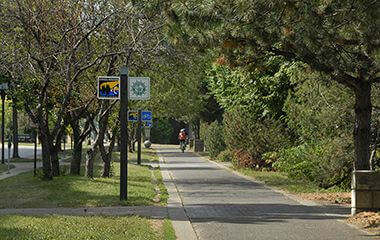 Walk, run, or bike along West River Parkway, part of the Grand Rounds Scenic Byway. 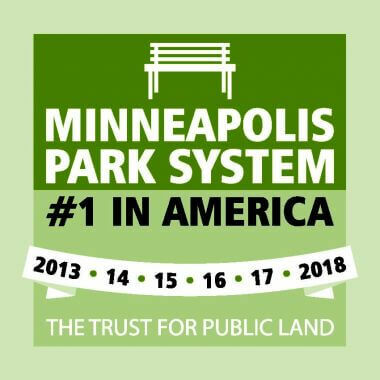 The park is located under and adjacent to the Hennepin Avenue Bridge between West River Parkway and the Mississippi River in the Central Mississippi Riverfront Regional Park.